Struggling to get to the phone in time? If you’re out and about or just plain old busy, answering the phone can get tricky. You can’t answer your phone during meetings and conferences and so spend a lifetime filtering through voicemails. You know you can’t justify an extra member of staff to man the phone, so just struggle on. But here’s a more practical approach. Divert your calls through us. We take your calls, answering on your behalf and get back to you with details of the caller. You can get on with what you need to do, knowing your calls are being handled with the upmost of professionalism. Available Monday – Friday from 9am – 5.30pm, all you need to do is divert your calls to us when you need the support. There are no contract limitations as you pay on a calls-answered basis and you can divert from your landline or mobile phone. 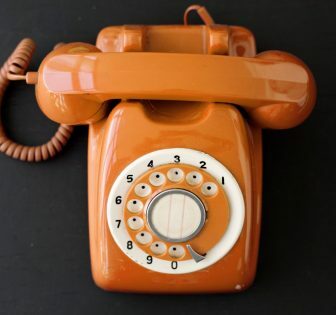 Your caller will be told you’re in a meeting, on holiday, unavailable (you tell us what you want them to know) and will be invited to leave a message. Get on with whatever you need to focus on – whether that’s a deadline for a customer, a day out with the family or an important meeting. Relax in the knowledge your calls will be answered professionally, with your business name and that full details will be immediately passed onto you or your nominated contact for you to action in your own time. If you’re called out of hours, your callers will be greeted with a personalised voicemail. Your callers get an excellent impression of your business and you get to manage your work around your calls. Ready to take control? Call us today or complete the enquiry form below to chat with us and see how our telephone answering service can take the pressure off your business.